Our best electric blanket reviews 2019 offers you a choice of the 5 best electric blankets we have found in our research. Heated blankets are very welcome to most people in winter or whenever it is cold, but it is important that you choose one that is not only effective but is also safe to use. What do you want from an electric blanket? Warmth and comfort, sure! But how about safety? Safety and Comfort – In That Order! Our best electric blanket reviews 2019 offers you a choice of the 5 best electric blankets we have found in our research with regard to safety and comfort. Always keep in mind that you are sleeping on or under an electrically heated blanket! It must be resistant to spillages or ‘accidents!’ Water and electricity don’t go well together. We have taken many factors into account when compiling our best electric blanket reviews in 2019. Safety came first, and then the comfort and ease of use. 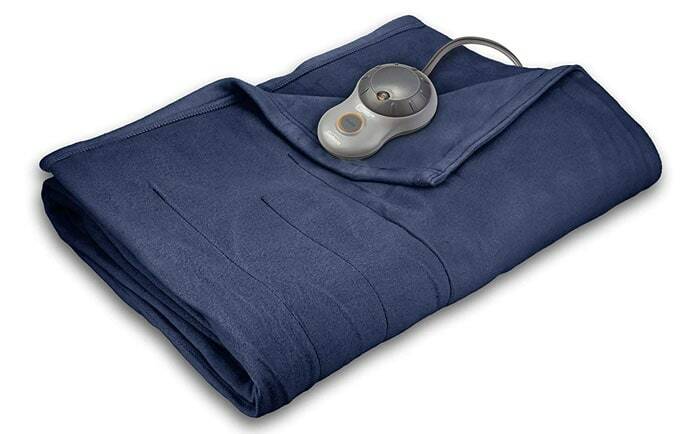 (Best Heated Throw Available) 60" x 50"
Note: All blankets are of Polyester. * This is the top electric throw we could find. 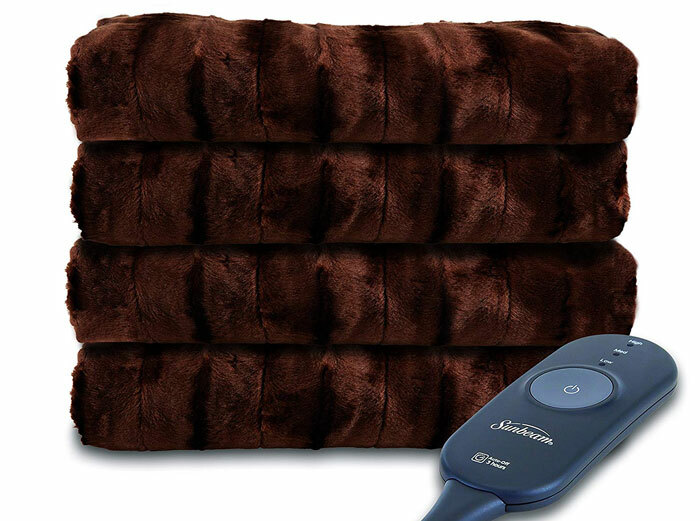 The Sunbeam Microplush heated blanket is an electric blanket With 10 heat settings and a 10-hour auto switch off facility. It is made from 100% polyester made to the company’s ‘Microplush’ formula. This electric blanket can be used simply to preheat cold sheets before bedtime or to provide a preset level of heat throughout the night. It senses the temperature and adjusts it to maintain your preset temperature throughout the night. Many people like to use this heated blanket to heat up their bed before they retire for the night. However, there are no hard and fast rules for its use! As previously stated, it can be used over the mattress or sheets to heat up your bed in advance, or as an over-blanket to keep you warm when in bed. As with our #1 choice, the 10 heat settings offer a good range of temperatures to suit everybody. Senses and maintains an even temperature. Digital display and push-button controller. Queen and King sizes have two controllers – one for each partner. Can be machine washed and tumble dried. – but best not to spin dry! Although the Sunbeam Microplush heated blanket works well, it is thin and suitable as an over-blanket only. Not all electric blankets can be used as an under-blanket. Editor’s Notes: Many people use this electric heated blanket as an over-blanket, while others use it on the mattress or sheets to heat up the bed prior to retiring. They then switch it off. If what you want is a means of warming your bed, then falling asleep in a warm bed, then the Sunbeam Microplush heated blanket is an ideal choice. It is thin, and easy to use. The Sunbeam quilted fleece heated blanket is available in Twin, Full, Queen and King sizes and in a selection of seven colors. The fabric is 100% polyester and its channel design ensures that you are kept warm during the coldest of nights. You can set the electric blanket to any of 10 heat settings, and the ThermoFine heat control technology ensures that the temperate remains constant. The heat controller has a 10-hour shutoff option that cuts the power after a set period of time. 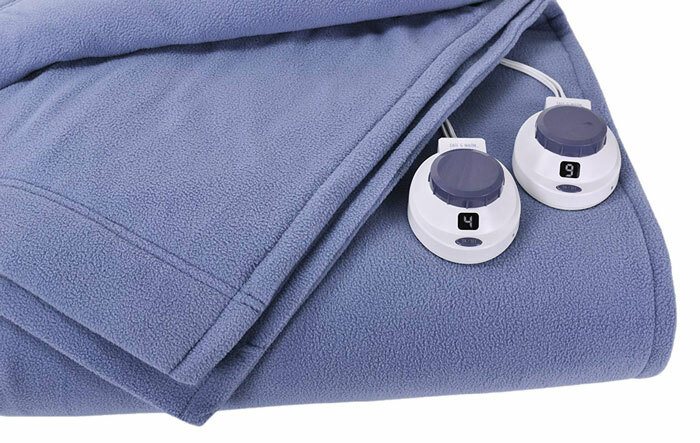 This electric blanket it really easy to control which makes it safe to use. It is machine washable and dryable. Soft polyester makes it comfortable to use. It can be used above or below: you can lie on it or use it as an over-blanket. The 10 heat setting enables you to set the temperature just right for you. ThermoFine auto adjust feature maintains a consistent level of warmth. Some complaints regarding its propensity to attract pet hair – but should pets sleep in your bed? Also, it is not recommended to use an electric blanket with pets. 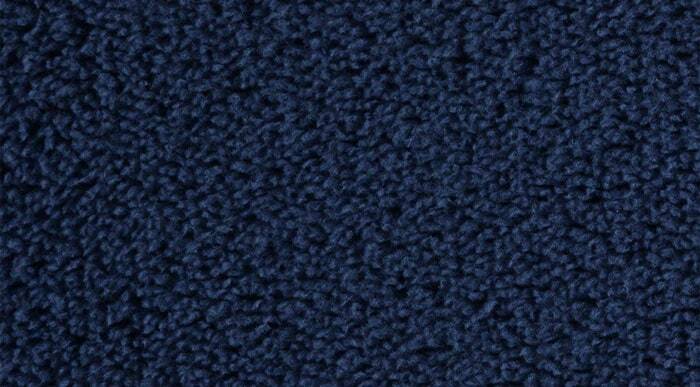 Some issues with consistency – some areas of the blanket seem to get hotter than others. 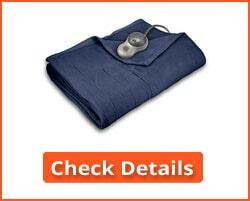 Editor’s Notes: The Sunbeam quilted fleece heated blanket is a good quality electric blanket. You can use it as an under-blanket or an over-blanket, and it offers 9 different heat settings. Although some areas may get hotter than others, this should not a problem if the blanket is spread out smoothly. Heating wires do not like being creased or scrunched up. Most who use the Sunbeam Quilted Fleece electric blanket find it good for them, although some appear to be unsure what a heated blanket is for. Read out Buyer’s Guide below for information on how to choose and use an electric heated blanket correctly. Like all machine-washable electric blankets, do not use the spin dry cycle! If you are looking for a heated throw that you can use before going to bed, then our next suggestion is the perfect solution. The Sunbeam Microplush heated throw differs from the firm’s heated blanket in a number of ways, but is also similar in others. Like the other Sunbeam products above, the heated throw senses the temperature and adjusts it to maintain a constant level of warmth. Simply place it on the bed and it will keep you warm for as long as you wish. Some people use this for their pets – dogs in particular seem to love it. However, as will be explained later, we do not recommend allowing sharp-clawed pets to lie on top of any electrically heated blanked or throw. Lighted controller that cuts off after three hours. Maintains the set temperature by means of a sensor. 5-Year limited warranty: Check Warranty here. Very few negatives – this throw can keep you warm as you get to sleep, and can be set to switch off after a period of time. Some people don’t like the auto cut-off after 3 hours. Editor’s Notes: This is a throw that people can use on their beds, or to keep them warm when sitting on a chair or sofa. Because of this, some tend to prefer this to an electric blanket. Some heated blankets can be heavy, and unsuitable for using outside the bed. If you want a fairly lightweight heated blanket that you can use when watching TV or in bed, then this is a great choice. The SoftHeat luxury micro-fleece electric blanket is a luxuriously fleeced heated blanket that is very comfortable in your bed. It can be machine washed and dried but do not use the spin feature of your washing machine. In fact, no electrically heated blankets should be spin dried. That’s because the spin can crease the blanket and the wires within it and lead to overheating in kinked wires. Machine washable and can be tumble dried without ruining the pile or shrinking the fabric. Dual controls available with all Queen, King and Cal King sizes of electric blankets. Shuts off after 10 hours in case you forget to do so. The wires in the SoftHeat Luxury Micro-Fleece heated blanket are very thin, and you will hardly notice them when using the blanket. Can be set to preheat your bed before you retire for the night. Very few negatives have been reported. The warranty is only valid if you contact the manufacturer directly. According to those with complaints, the guarantee operates only for 30 days. Editor’s Notes: This is an excellent machine-washable electric heated blanket that offers a number of useful features. You can use it to preheat your bed before you retire for the night, or as an under-blanket or over-blanket as you prefer. It is easy to clean, but make sure you cut the spin dry feature of your machine. That is likely to compress the wires and lead to localized overheating. 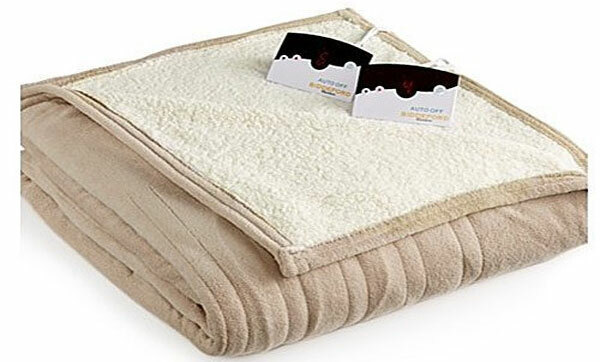 The Biddeford Micro-Plush Sherpa electrically heated blanket claims to help you save money on heating since when using this electric blanket you have no need for space heating in your home. At least not if the whole family is asleep! As with all those above, the heated blanket comes with digital controls that can be used to set your ideal temperature. Digital control with 10 heat settings along with a 10-hour auto shut-off feature. Dual controls with Queen and King sizes. 100% polyester with ultra-thin heating wires for maximum comfort. Machine washable and can be tumble dried – but as previously warned, do not use ‘spin’ in your wash cycle. Five year warranty – contact manufacturer not vendor for warranty details. Again, few negatives reported. Some issues with the warranty and who provides it. Check out our Buyer’s Guide below for more information on warranties. Editor’s Notes: The Biddeford Micro-Plush Sherpa electrically heated blanket is another excellent example of this type of electric blanket. You can use it to heat your bed in advance, particularly in winter, or as an over-blanket to keep you warm while trying to get to sleep. The very thin heating wires help to avoid getting cold while they heat you and your bed up to a comfortable temperature. Here is a guide to buying the best electric blanket for your needs. Our advice on how to choose a heated blanket will enable you to avoid the basic errors that people make when buying this type of blanket. First, let’s have an explanation of how electric blankets work. Electric blankets contain insulated wires that are threaded through the fabric of the blanket, fleece or throw. When electricity is passed through these wires, they heat up and in turn heat the fabric. The amount which they heat up depends on the power passed through the wires. That’s why the best heated blankets have a number of power settings – 10 being common for most brands. The higher the setting, the higher the temperature the wires will reach. Most electric blankets start from 18 to 25 Celsius up to around 50 – 55 Celsius. Before we go any further into the technical aspects of electric blankets, let’s first consider some different types. Electric Under-Blankets: Electric under-blankets are designed to heat the surface of your bed: the mattress or the sheet you will be lying on. It will usually be attached to the mattress with straps or ties. This type of electric blanket will usually be covered over with a sheet to protect you from the heat generated by the blanket. Electric Over-Blankets: Electric Over-blankets are used just like regular blankets. They can be used under your duvet or even inside the duvet cover. 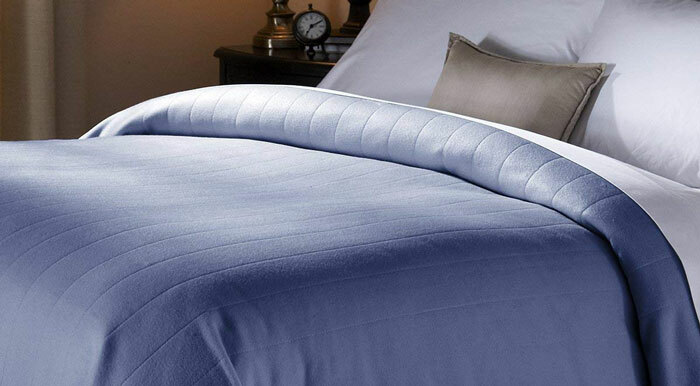 An electric over-blanket can help you to maintain a regular temperature throughout the night. They are usually available in standard bed sizes to match the dimensions of your bed or mattress. Heated Throws: A heated throw is versatile – it can be used in any of several situations. You can use it to keep warm when lying in bed or on a sofa, or even when sitting in a chair feeling cold. You can use an electric heated throw anywhere there is a convenient power source to keep you warm in any circumstances. Heated electric blankets have many benefits. If we forget the health benefits possible by keeping warm when sleeping, let’s first start on money! 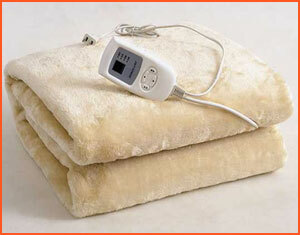 Electric blankets tend to be energy-efficient. They cost very little to run! If you use your electric blanket to help keep you warm then you are sure to need less domestic electricity to keep you warm. You will rely less on your heating during the day and keep your bills down. You can use the blanket during the day as a less expensive heating source than your space heating would cost. Heating your bed with heated blankets can help you to avoid some issues such as arthritic pain and backache. Not only that, but heat reduces the humidity of your bed and in so doing reduces the likelihood of dust mites infesting your bed. This can help allergy suffers avoid many of the perils that spring brings to them. Heat also helps the blood flow around those areas that can be affected – areas such as the neck down the spine to its base – the coccyx. What should you be looking for when buying one? Here are some buying tips to help choose the heated blanket or throw best suited to you. Make sure you check the cord length. It can be a nuisance if you find that the cord is too short to lead from the socket to your bed! Sure, you can get an extension lead, but it can be inconvenient particularly if you have to purchase one. So make sure the cord is long enough. If you are purchasing online, such as from Amazon, ask the question if the cord length is not stated. Most issued with electric blankets occur in those over 10 years old. You may think you are getting a great bargain with a second-hand or used heated blanket, but this is unlikely. The previous owner changed it for a reason! Old blankets may not be fitted with the latest safety features or power-saving devices. The newer models tend to measure the temperature of the blanket and the body temperature of the user and adjust the heat level accordingly. Older models will go straight to the set temperature regardless. 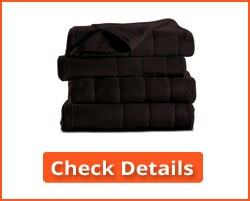 Check for the following features in your electric heated blanket. They are useful to have, but may not be fitted to all blankets. Timer: A timer enables you to switch the electric blanket on and off automatically. You can set it to switch on an hour or 30 minutes before bed time so the bed is nice and warm for you. You can set it to switch off at a certain time so it is not on all night. Heat Settings: Make sure that you have variable heat settings, and that your electric blanket does not operate only on an ‘on-off’ basis. Settings may be stated in terms of temperature or on a 1 – 10 scale. A temperature scale of around 15C to 55C (59F – 130F) or thereabouts is normal, give or take a few degrees. The higher temperature is too hot sleep in, but can be used for a rapid warm-up of your bed. Overheat Protection: This is essential. The blanket will shut itself off if it senses overheating. Temperature Sensors: Temperature sensors in the blanket can detect your body temperature and the room temperature and set the blanket heat according to these measurements. This is useful since it maintains a heat level that is comfortable for you – and makes sure you do not overheat! Dual Controls: If your partner prefers a cooler or warmer bed than you, then it is possible to purchase an electric blanket with dual controls. You will need 2 sockets for this, but it’s worth it if allows each partner to set his or her preferred temperature. Our #5 choice offers this feature. 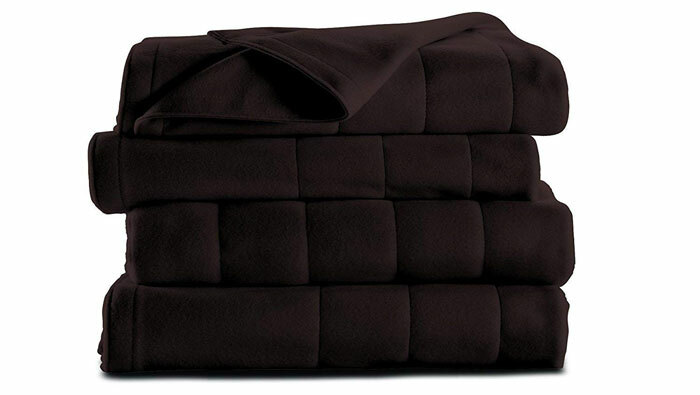 Although listed at #5, it should be borne in mind that these are the best 5 electric heated blankets that we could find. When you purchase any item online there is likely to be a number of warranty conditions. Make sure you understand what these conditions are. You have three levels of responsibility with online sales, and each could have its own warranty conditions. Make sure you read the warranty conditions and also any warranty offered by the selling company. If you purchase from a company such as Amazon, the Seller has to give you a free of charge (including return costs) repair, replacement or refund for a “reasonable time” following the sale. This ‘reasonable time’ will likely come in terms of warranty period: say one year, 5 years or 10 years. That time will vary depending on the product and its value. However, if you make such a claim more than 6 months from delivery, you may need to prove that the fault existed at the time of delivery of the product and wasn’t caused by, for example, an accident, misuse, liquid damage, etc. Most warranties apply only for manufacturing defects. 1. Are electric blankets safe? Can my son be electrocuted if he pees the bed? This is a very good question, and one that worries many mothers of young children. Generally, the answer is no. However, if the blanket is old, and the wire insulation is worn, then it is possible for a child to get a shock. However, it is highly unlikely to be a fatal shock. We recommend that you use a waterproof cover over an under-blanket. If you use a top heated blanket then the problem is academic. You may prefer to use a heated throw on top of the child’s bed rather than on the bottom where it is subject to getting wet if the child wees. 2. Can I use an electric blanket on my memory foam mattress? Some manufacturers say yes, but memory foam reacts to heat and pressure. Its properties are sure to be altered with a heated blanket on top of it. The memory foam may not properly mold to your body shape, which could make it uncomfortable to lie on. If you must, then use a blanket or sheet below the heated blanket. 3. Can an electric blanket be recycled? Take it to your local recycling center. There is no reason why it cannot be recycled. 4. Can my electric blanket be washed in a washing machine and dried in a tumble dryer? Usually yes. Check the cleaning instructions for your heated blanket. There should be a care label stating the washing temperature. However, it must be possible to remove the controller. Most come with detachable controllers, enabling you to unclip the cord before loading it into the machine. However – never use the spin cycle. Spin drying an electric blanket can put excessive stress on the wiring – generating faults that might only appear when you use it. Bent wires generate heat and can cause short circuits. 5. How do I store my electric blanket? I only ever use it in winter. Do not fold it – this will stress the wires, particularly if they are bent over for a few weeks or even months. The result could be that the wires overheat where they bend. Roll the blanket up over its full width then store it in a dry place without anything else lying on top of it. 6. Can I use a hot water bottle with my heated blanket? No – why should you want to? If feel you need a hot water bottle then perhaps you need a new electric heated blanket! Check out our review above for some great ideas. If your hot water bottle leaks then you could have serious problems. 7. Can I lie on an electrically heated blanket while it is switched on? This is not recommended. Lying on top of heated wires can significantly raise their temperature. If you want a blanket that can be switched on while you sleep, then we recommend you go for an over-blanket or throw. Not an under-blanket. 8. Is it OK for my dog and cat to sleep on my electric blanket? Absolutely not! Their claws can not only damage the fabric but can cut into the wiring and expose bare wires. This may not only electrocute them but also give you quite a shock – particularly if they or you introduce moisture to the blanket. It can also generate a fire hazard. There are low voltage heated blankets available that are suitable for pets. 9. Can I keep my heated blanked switched on all night? Only if it is an over-blanket or a heated throw. As stated earlier, it is not recommended to sleep on top of an electric blanket if it is switched on. You can keep an over-blanket or throw on all night at a low setting. However, if your controller permits, it might be best to switch it off at a time when you are sure to be asleep. 10. How long should my electric blanket last? Your electrically heated blanket should last until you see it wear – if it shows signs of wear and tear then renew it. Most can last up to about 10 years, but that depends on its use. If it is ripped, is showing the wire insulation, is abrading or even if you see bare wires, then change it immediately. If you read the buyer’s guide for heated blankets above, then you should be able to seek and purchase the electric heated blanket that best meets your needs. Our best electric blanket reviews 2019 have presented the top 5 recommendations that we can make having surveyed the market. Our choices are based on user feedback and also our own research into the benefits of each item. 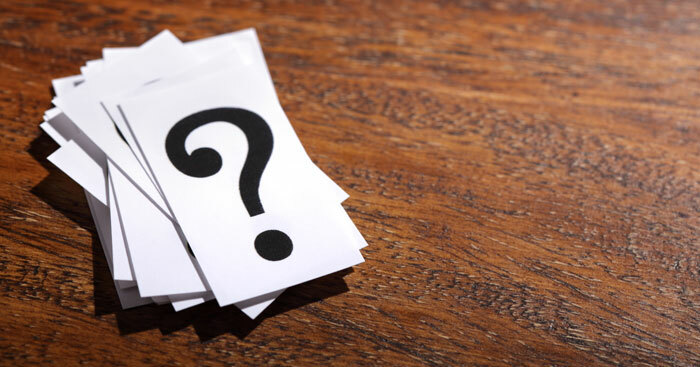 If you still have questions regarding your choice, or about the benefits of electrically heated blankets to your health, then here are some frequently asked questions that we have received – and answered. In our best electric blanket review article, we have presented our top 5 electrically heated blankets for you to consider. Our Buyer’s Guide and FAQ section help you make your mind up as to which of the five options suits you best. There are many different types of heated blankets available online, and it is very important that you have the right information to hand to enable you to make the correct choice. That’s the information we have provided above.